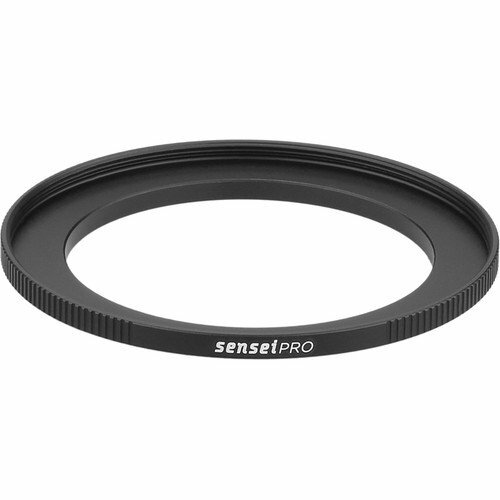 The Sensei PRO 58-72mm Aluminum Step-Up Ring permits the use of 72mm threaded filters on lenses with 58mm filter threads. It has large side knurls to provide a more textured grip when mounting or removing it from a lens. This step-up ring features a lightweight, aluminum-alloy construction that has a corrosion-resistant, matte black, hard anodized finish for durability and to minimize reflections. If you have any questions about this product by Sensei, contact us by completing and submitting the form below. If you are looking for a specif part number, please include it with your message.